Ingersoll rand pro-series grinders and sanders are specially designed for heavy-duty production applications. 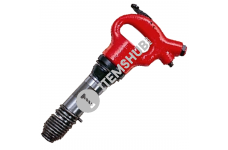 With their superior power output, they are best suited for big tasks involving heavy mater..
Chipping Hammer 20mm AA-0B is a pointed shaped hammer that is used to remove the remnants of the scraping scales so the welding becomes clean and neat. 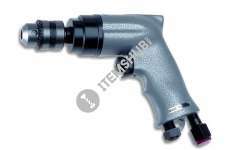 This tool has a very good handle that can reduce..
CHIPPING HAMMER AA-1.3B is a sharp pointed hammer used to remove the remnants of the crust so that the welding becomes clean and neat. 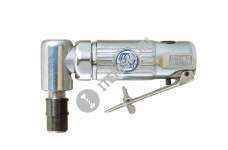 This tool has a very good handle so it can reduce the impac..
Toku MD-10L Industrial Drill 3/8"
Toku MD 10L uses the linear valve (Variable control valves) that allows centering of the tool much easier to find the center. The 1 step planetary gear system contributes to better operations. 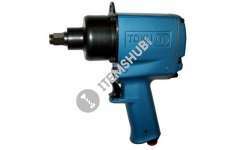 It has ..
Toku MD-3311B Reversible Drill 3/8"
The TOKU MD-3311B Air Drill is a true industrial strength air drill with very high power to satisfy the heaviest applications in manufacturing, construction & mining industries with using the line.. 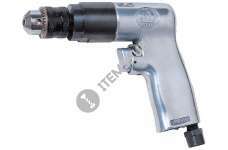 The reversible air angle drill is designed with a low profile angled head for work in tight spots, top quality all ball bearing construction for durability and a lightweight aluminum alloy housing. 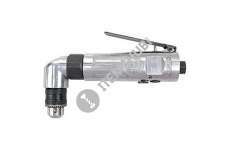 Th..
Model MD-3413B uses the linear valve (Variable control valves) that allows centering of the tool much easier to find the center. The 1 step planetary gear system contributes to better operations. It h.. 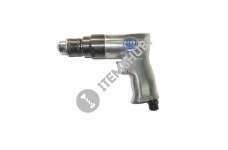 Die Grinder 6mm 20000RPM MG-7206B is a tool used for grinding, polishing, honing, polishing, or machining process. 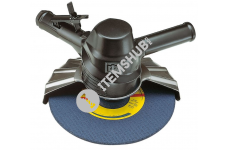 Materials that die grinder include iron, plastic, or wood .This tool is very practica.. 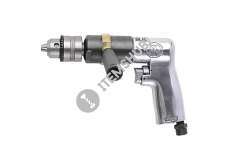 DIE GRINDER MG-7236B is a tool used for grinding, polishing, honing, polishing. Materials that include iron, plastic, or wood. Also, is very practical to use because the grinding wheel can be replaced..
Toku Chipping hammers are the top choice for light demolition work - including concrete and masonry removal - where you need a hard-hitting, well balanced tool. 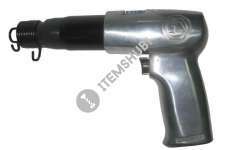 A variety of sizes, capacities, and pre..
Toku Impact Wrench has an excellent weight/power ratio.The MI-17M is developed for assembly- and disassembly purposes. 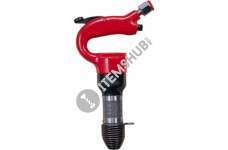 The Twin Hammer impact mechanism has a high energy level at each impact and thus ..